Dr. Corbin studied Animal Science at Oklahoma State University and received her Doctorate of Veterinary Medicine at Texas A&M College of Veterinary Medicine. She completed a rotating internship at The Animal Medical Center in New York and a surgical internship at Animal Specialty Group and Alameda East Veterinary Hospital. 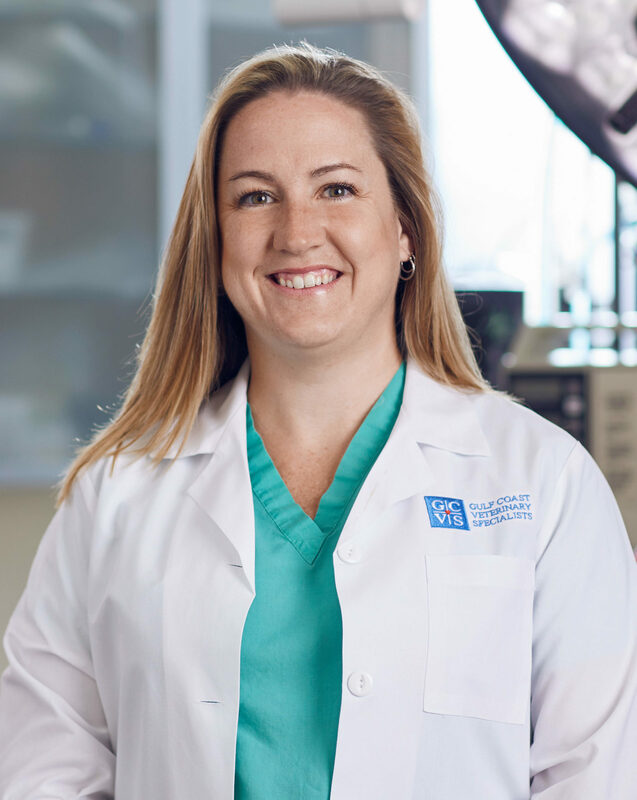 Dr. Corbin completed her residency in small animal surgery at the University of Minnesota College of Veterinary Medicine and became board certified by the American College of Veterinary Surgeons in 2016. Dr. Corbin’s profession interests span all areas of surgery including soft tissue, orthopedic, and neurologic surgeries. She has a special interest in surgical oncology, minimally invasive surgeries, and interventional radiology. In her free time, Dr. Corbin loves being outdoors and being involved in sports, especially soccer. Her other hobbies include painting and, when the time and weather permit, snowboarding.